Content creation can be seriously hard work. According to Zazzle Media, 65% of marketers struggle to produce engaging content. You know, the kind of content that enhances your reputation, and makes visitors to your website want to subscribe, or even buy. It’s not just a matter of coming up with ideas; but you also have to present the content attractively. But what if you could find a content format with a proven track record, and make the creation process easy? Here’s the good news: creating an ebook offers you both of those benefits. 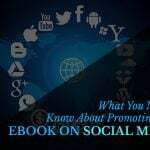 In fact, if you’re not creating an ebook to market your business, you’re missing a huge opportunity to get the attention of prospective customers. In the US alone, says Statista, ebooks are forecast to be an $8.6 billion dollar business by the end of 2018. And people are reading them, with 20% of readers reading more ebooks than hard copy books. And although it used to be technically difficult to make an ebook, that’s no longer the case. In this article, we’re going to show you how to make an ebook in a simple five-step process that will give you an attractive ebook fast to help you wow prospective customers. But before we get to how to make an ebook, let’s take a look at some of the reasons why ebooks are such a great tool for marketers. The best reason to create ebooks is that people read and share them. 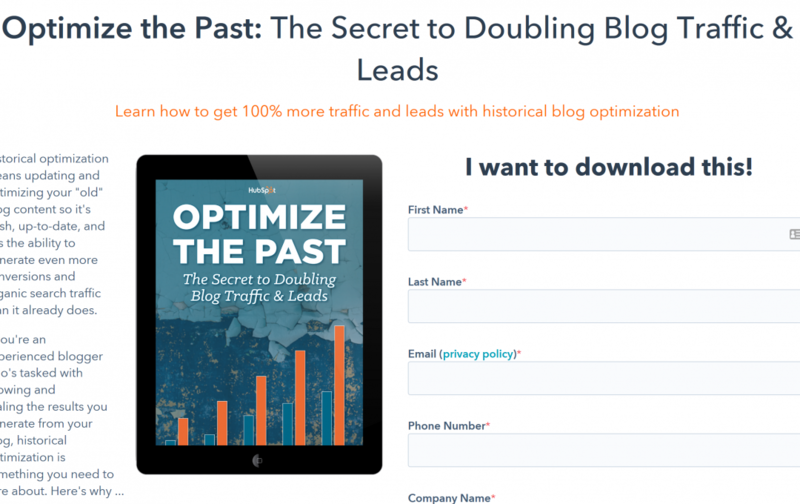 Hubspot, which is a great example of good practice in marketing, uses ebooks as lead magnets. That means they give them away free in exchange for an email address. What’s the big deal about email addresses? Most people still read email, so it’s a great way to get the opportunity to connect with visitors to your site, and possibly turn them into leads and customers. This is a pretty successful strategy for Hubspot. 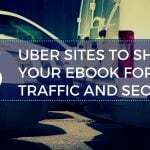 Their most successful ebooks get shared thousands of times, and help them generate targeted leads. 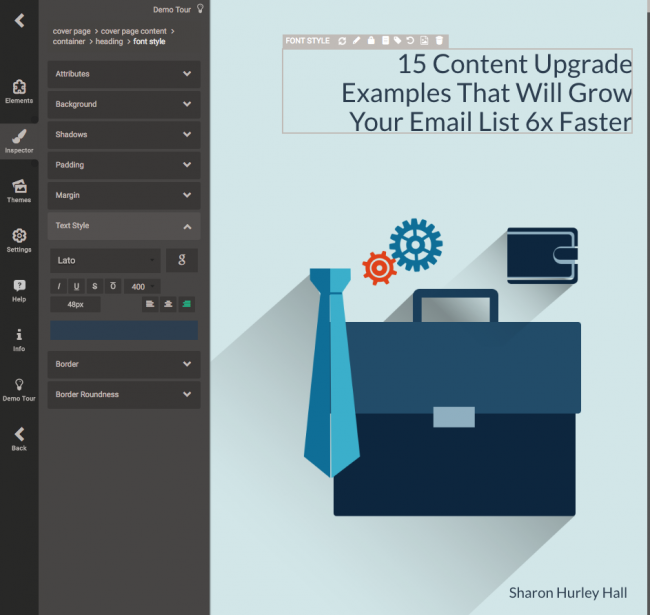 Another way to use an ebook is as a content upgrade. 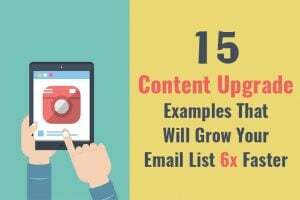 The content upgrade strategy is usually used with blog posts, where you give away an item related to the post in exchange for an email address. 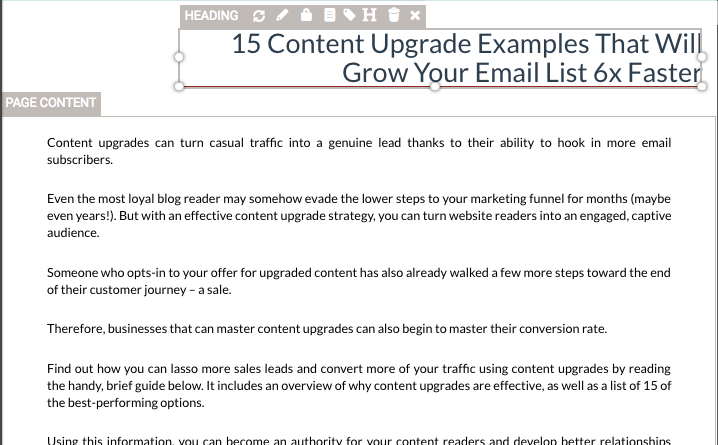 Content upgrades are proven to help you grow your list and generate high-quality leads. You know where else you can use ebooks? On Slideshare. Slideshare‘s owned by LinkedIn and has 80 million users, making it a great place to share B2B information. A PDF ebook is the perfect format to do that, as it only takes a couple of minutes to upload one there. 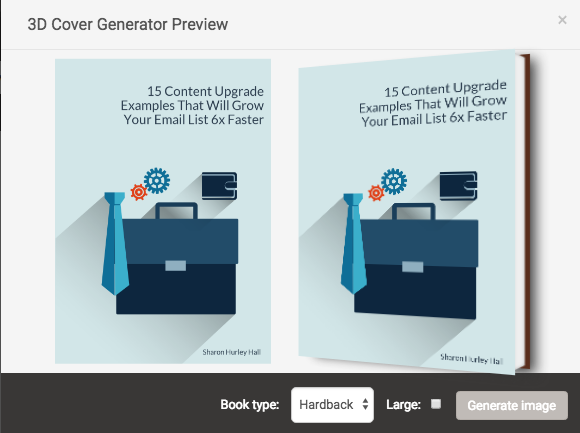 Ready to create an ebook as a lead magnet or content upgrade? The first step in creating an ebook is to figure what your ebook is going to be about. But before you get to that, you’ll need to know who you’re writing for. If you’re already marketing, you’ll likely have some idea who you want to attract as customers. This usually involves creating buyer personas or customer avatars. You can do this by combining customer surveys and online research with data from web and social analytics. This will give you a clear picture of the age, gender and education level of your customers, as well as their key interests., as in this example from Twitter. To create your own buyer personas, check out the templates in this guide from OptinMonster. Now that you’ve established your target audience, it’s time to find a topic. There are a few ways you can do this. First, search the books section of Amazon to see what’s hot in the area you want to write about. Type in your keywords, and you’ll immediately see the top results. For example, here’s what we see when we search for content marketing. If we say so ourselves, this is a brilliant topic creation hack that lets you use data from one of the world’s biggest online retailers to attract your customers. Tip: Look at the reviews to identify what the readers really enjoy, and also check the 1 star reviews to see what readers are really looking for. How do you use the info you find? Simple. Adapt the titles you find for your audience. 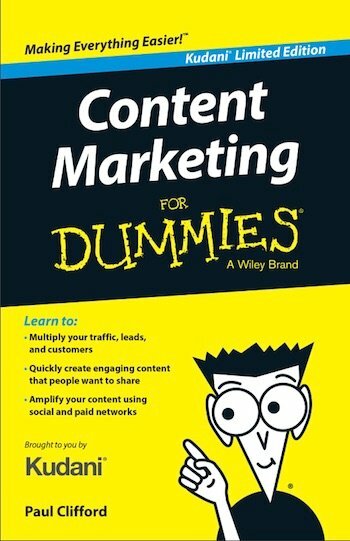 For example, one possible title adapted from the ones shown on Amazon could be “5 Simple Smart Content Marketing Strategies That Drive Sales”. Another way to figure out what’s popular is to use a tool like Buzzsumo to check out widely shared topics. Again, type in your keywords, and you’ll see the top ten results. You can adapt these to come up with your own ebook title and topic. 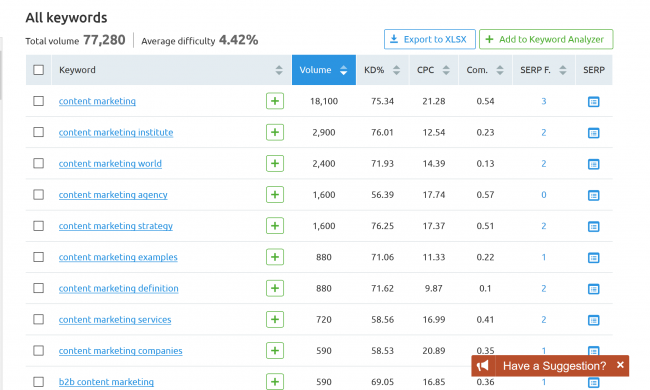 You can also check out your topic keywords in SEMrush. You’ve got a couple of options here. 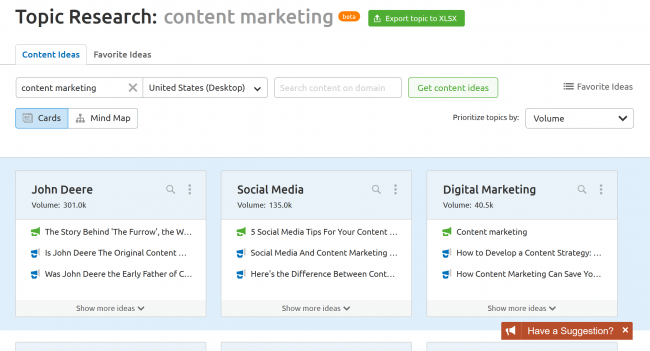 For example, you can go to their Content Marketing Toolkit, click on Topic Research, and type in your keywords. You’ll see related topics on a series of cards, with the top search results for each. Alternatively, use the Keyword Magic tool in their SEO Toolkit to see keyword search volume and more for your chosen topic. And you can check your own web analytics. Just go to the Home view in Google Analytics and you’ll see your most popular landing pages, which are already getting traffic. 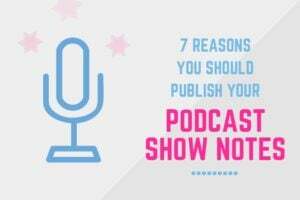 If any of those relate to a particular topic, then you know your visitors are interested, and can create your ebook around that. Once you have a cool idea under your belt, the next step is to create the content for your ebook. One major advantage of creating a completely new ebook is that it’s completely unique, which can be a great marketing hook. However, depending on your circumstances, there’ll likely be some disadvantages. For a start, you’ll need someone to write it. This could be you, but you would also need to vet and hire a great writer, and that takes time. If you just want to create a quick lead magnet, and start getting leads fast, that’s probably not the best option at the start. Using multiple pieces of your existing content could be a great option. That’s especially true if you plan for this in advance, so you have multiple blog posts that neatly fit together to make a larger ebook. If not, then you’ll need to edit existing content to make it fit together. This can be time-consuming, though you’ll end up with a high-value resource that wins you business. By far the easiest way to make an ebook is to use one excellent piece of content as your source material. 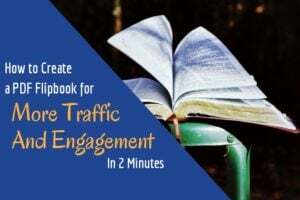 If it’s already popular and getting traffic, then you know visitors are interested, and you’ll be able to create an ebook in two minutes with a tool like Designrr’s ebook generator software. Whichever way you plan to create the content, plan the project in advance. Having an outline can stop you from getting writer’s block, and gives you an easy way to check you’ve covered everything when the project is finished. The call to action is crucial, as it’s the bit that will get your readers to take the next step. Here’s a guide to using outlines for content creation from Search Engine People. 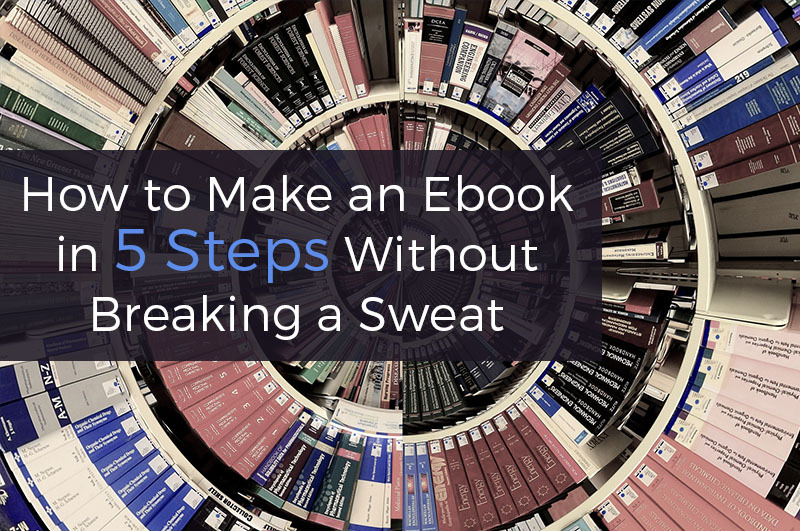 There’s one last decision to make before creating an ebook. It’s about the right format for your ebook. As always, you have lots of choices. Until recently, PDFs were the preferred format for delivering ebooks, and they’re still pretty popular. That’s because they’re easy to create and worked well on any PC platform. Of course, not all PDFs work well on all devices. And when a PDF doesn’t resize or reflow correctly, then readers can have a pretty poor experience. That’s something you definitely want to avoid. Amazon dominates the e-reader space which is why it’s important to offer the Kindle format. With the right tool (we’ll get to that in a minute) creating a Kindle ebook can be a one-click process, and even simpler than creating it via Amazon itself. So ideally, you’ll make your ebook available in the .MOBI format that’s compatible with Kindles. Of course, there ARE other e-readers out there, and they don’t use the Kindle-compatible format. To make sure people using those e-readers can access your lead magnet ebook, you’ll need to supply the .EPUB format. And for mobile users, the flipbook is a great option that’ looks great, is fully interactive, and is easy to use. Plus, if you care about those things, it uses HTML5 and is fully compliant with the latest web standards. Ok, so you’ve chosen your topic, got your content ready, and know what format you’ll use for ebook creation. The next important step is to choose your ebook creation software. 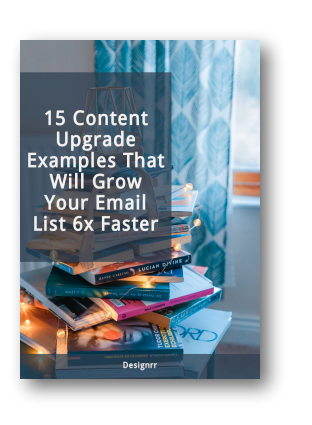 Believe us, the software you choose makes a huge difference to how easy it is to create a content upgrade or lead magnet. Here are some of the features to look for. First, you’ll want to choose ebook design software that makes it easy for you to import the content you have or create. Ideally, you’ll be able to create an ebook from a Word document, from HTML or, to make ebook creation really quick, an URL. Second, it’s also important to have good ebook designs that make your visitors want to sign up. Choose ebook design software with a wide range of ebook design templates that you can customize to meet your needs and match your branding. Third, you have to be able to edit and format imported content. If you suddenly decide to switch two paragraphs round, you don’t want it to break your ebook. And you want it to be easy to add a call to action or social media buttons. And last, the software for creating your ebook should let you export the finished product in any format you want. That ensures that you always have an ebook in the right format, no matter what your audience uses to access the content. You won’t be surprised that Designrr offers all these advantages, and many more, so in the next step we’ll show you how to create an ebook in 2 minutes with Designrr. The final step is actually creating your ebook. Here’s how you do that. First, name your ebook and choose how you will import your content. You can import from Word, from a PDF, or from Facebook. Or you can create a blank project. But there’s an even quicker way. If you’ve ever wondered “how can I create an ebook from my website?”, we can help. Just use the URL of an existing blog post, press the Import button, and some behind the scenes wizardry will help you create an ebook in two minutes or less. Next, choose a template. 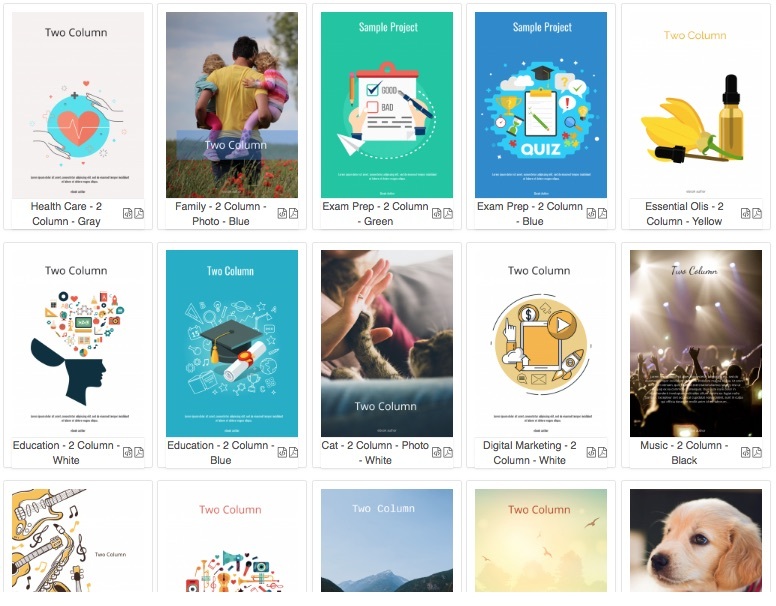 There are plenty of ebook design templates to choose from (and they’re customizable), including plain covers and those with images. You can preview any template to see how it will look on the web or as a PDF. Press Next again to go to the Designrr builder. To edit any element, just click on it. You’ll be able to type to replace text,. You can also use the sidebar menu to add new elements, such as text, and images. 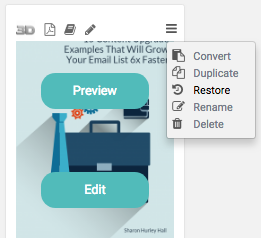 You can also easily rearrange elements on the page via the drag-and-drop interface. Save changes as you go along via the menu buttons at the bottom left of the builder. Once you’re done, it’s time to export your e-book in the chosen format. In just a couple of seconds you have a finished ebook. And don’t worry; if you want to make more changes, it’s easy to edit your ebook design and export it again. See, that didn’t take long, did it? Here are few tips that’ll help you get more from using this ebook creation software. First of all, Designrr autosaves your work to your browser. That way you won’t need to worry if you lose connectivity or get called away in the middle of editing. Second, Designrr stores version history. This makes it easy to go back to a previous design if you really mess things up (though it’s so simple, we’re pretty sure you won’t.) To find this, go to your dashboard, and check out the project menu where it says restore. Third, use the settings in the left sidebar menu to integrate marketing tools like social media sharing buttons, and to create a call to action. And finally, you can quickly generate a 3D cover to use to promote your ebook from the dashboard view. We’ve been able to go from blog post to finished ebook inside two minutes, which is pretty darned quick. Think you can beat that? Not using Designrr yet? Get started today and make ebook creation easy. Sharon Hurley Hall has been a professional writer for more than 25 years, and is certified in content marketing and email marketing. Her career has included stints as a journalist, blogger, university lecturer, and ghost writer. You'll find her work on OptinMonster, Crazy Egg, Search Engine People, Unbounce, and many other sites.